War Veteran Captain Tom Jenkins came to visit us today to talk about his experiences in the war and Remembrance Day. He is a very nice man. He told us about traveling across Canada and working in different places around the world. Captain Tom Jenkins told us about living in a place so far up North that it is dark for half of the year and light for half of the year. That is hard for us to imagine. We wonder if it is scary in the dark all the time? Captain Tom Jenkins must have been very brave to be in the war. 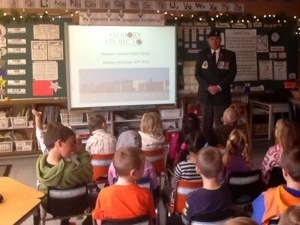 We really appreciate that he came to talk to us about the war and Remembrance Day. 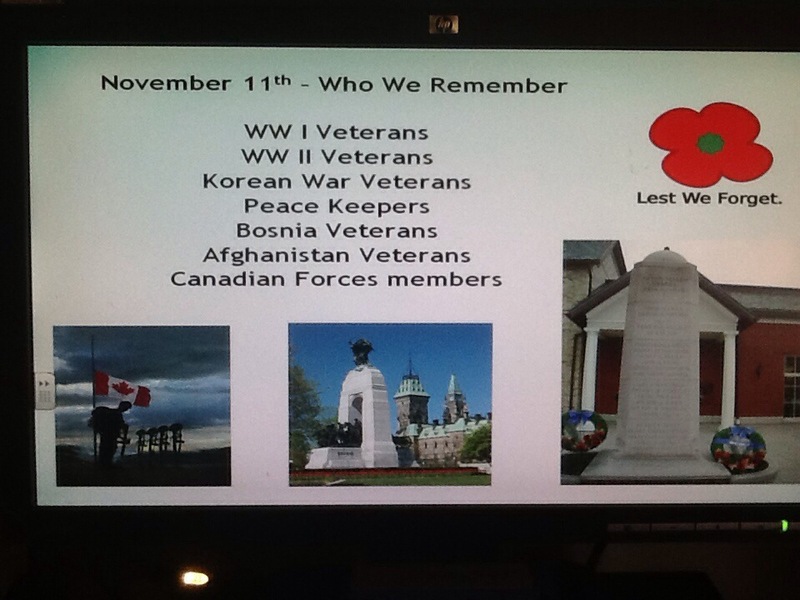 We learned that Remembrance Day is about remembering the men and women who died keeping us safe. We talked about what might have happened if the good guys didn’t win. 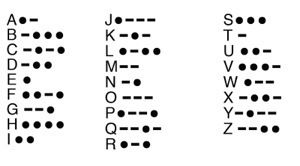 What might that mean for us and our families? How might our world have been different? We realized that we have a safe place to live, nice houses to live in, and food to eat because people who fought in the war protected us and our families. Thank you Captain Tom Jenkins. You ROCK! I noticed that Captain Tom had a few medals attached to his uniform. How did soldiers earn medals? Soldiers earned medals by doing lots of things. Whenever they did something good, they earned a medal. When a soldier protected another soldier during the war, they earned a medal. They also earned a medal by fighting in the war for a long period of time. These are all of our ideas on how soldiers earned medals. Thank you for replying to our post.